Many of you are well aware of the critical decline in population of the African elephant and have expressed an interest in helping us take action to preserve this magnificent species. 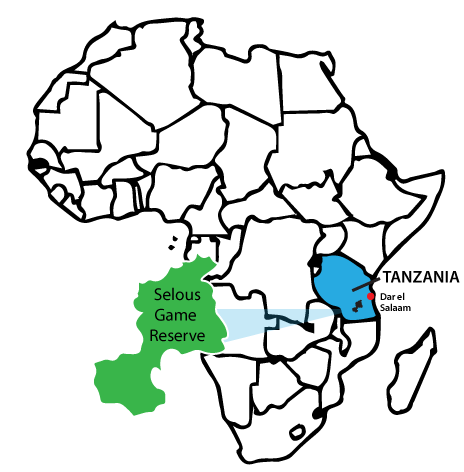 The Tanzanian Government has recently announced an initiative by the Tanzania Wildlife Research Institute (TAWIRI) to conduct elephant and rhino research in the Selous Game Reserve in Southern Tanzania. Working with our partners at the African Wildlife Trust, Tide For Tusks has started an initiative to raise funds to support the science and research efforts of TAWIRI to collar and monitor 60 elephants in Selous. This is a tremendous step towards improving conservation efforts of threatened and endangered wildlife and Tide For Tusks is pleased to have the opportunity to participate in this project. The Selous Game Reserve is a UNESCO World Heritage Site and one of the largest and oldest protected areas in Africa. Covering a wilderness of more than 50,000 square kilometers, the Selous is renowned for its diversity - encompassing woodlands, riverine forests, swamps and grasslands and providing habitat for an array of animal species. It is considered to be a valuable conservation stronghold. Yet in reality, the Selous is far from protected. Its elephant population has been under siege from wildlife crime groups because of its historical large number of herds (providing a readily supply of ivory) and its close proximity to ports on the Indian Ocean (making it easy to smuggle ivory out). As a result, the population of elephants has plummeted. Based on DNA analysis of ivory seizures, the Selous is the most significant poaching hotspot in Africa in terms of numbers of elephants killed (EIA Report, November, 2014). The savannah elephant (Loxodanta africana) is listed as a vulnerable species, with poaching to blame for 90% of the reduction in the Selous population over the past four decades. Given this drastic decrease in numbers, conservationists in Tanzania are taking measures to protect the species against further decline. By collaring and monitoring the migration of the herd, researchers hope to better protect the elephants and model population growth to a healthy, sustainable level. As part of our mission, Tide For Tusks is reaching out to our supporters to help launch this new project that is scheduled to start in September of this year. We desperately need your help to make it happen. Please consider donating online. 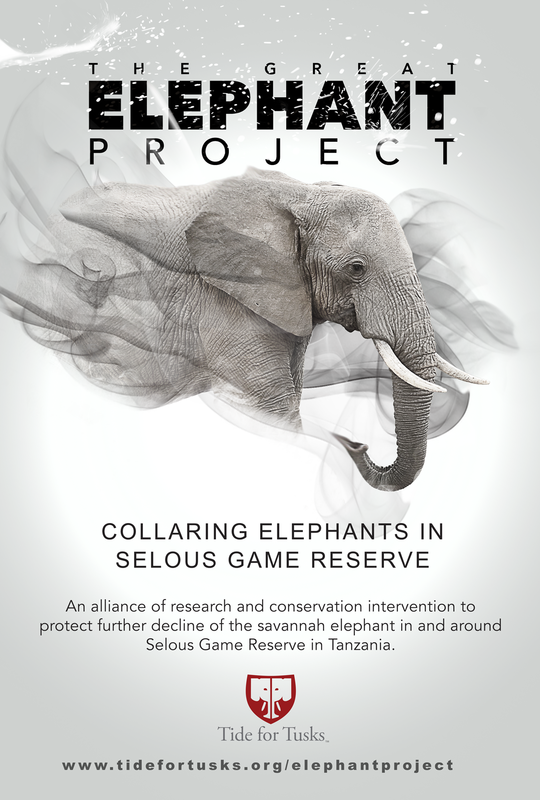 Your gift is tax deductible and 100% of the funds received for this project will be applied towards “boots on the ground” to collar, monitor, and protect elephants in the Selous Game Reserve in Tanzania.